“No sane person would run for president, right?” Los Angeles Mayor Eric Garcetti said in a recent interview with journalist Kara Swisher. Well, hold on to your clozapine—turns out, he’s sane. In a hastily organized news conference this afternoon, the 47-year-old dispelled rumors that he would compete for the Democratic Party nomination. “I have decided to not throw my hat into the ring for president in 2020,” he said from City Hall. 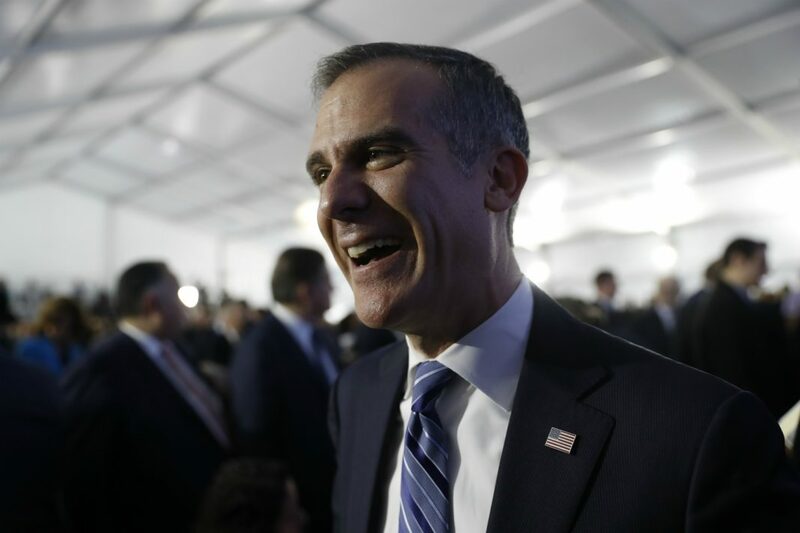 For several months, Garcetti had exhibited all the symptoms of presidential aspiration, from visiting states with early primaries to forming a political action committee. Even then, as New York Magazine’s Intelligencer noted a little over a week ago, his momentum seemed to wane. But today, Garcetti doubled down on finishing his remaining four years in office—an unusually long term due to a change in the city election calendar. Garcetti seemed to score a victory when he helped facilitate an end to the LAUSD teachers strike, which shut down the second-largest school district for six days earlier this month. But the announcement also comes as the FBI looks for evidence of possible bribery, extortion, and money laundering among several people in city hall, including two Garcetti appointees. One common line of speculation traces his decision to Kamala Harris, California’s junior Senator who recently kicked off her own campaign with a rally attended by over 20,000 people. Unlike Garcetti, Harris, former California Attorney General, has enjoyed a regular national platform during her short tenure in office. With prominent assignments on the Senate Committee on the Judiciary and the Committee on Intelligence, Harris has made news with her prosecutorial-style questioning of political figures like former-Attorney General Jeff Sessions, Deputy Attorney General Rod Rosenstein, and then-Supreme Court nominee Brett Kavanaugh. Responding to questions about Harris, Garcetti denied that she played any role in his calculations. Instead, he attributed the decision to his family and his remaining term in office. “You have to listen to your own heart,” he said. History may look kindly on Garcetti’s abstention. Sam Yorty, the last Los Angeles mayor to throw their hat into the race for the Oval Office back in 1972, dropped out before he even made it to the California primary. Garcetti’s second and final term ends in four years. With Gavin Newsom just starting his first term and expected to run for a second, Garcetti seems barred from a shot at the governorship in the immediate future. Nonetheless, he fully intends on remaining in the public sphere. “I’m 47-years-old. I’m not going anywhere,” he said.